Rocas Rojas is a bungalow resort with 393 apartments located in San Agustín, in the South of Gran Canaria. The apartments are bungalows with one or two apartments in each building. Next to these apartments, there are several swimming pools for adults and for children, a putting green, tennis courts and a petanque area. Why not make sure you get a sunny summer holiday this year? The summer is the best time to visit Gran Canaria. The temperature stays between 25 and 30 degrees, the ocean is warm and the air is dry – unlike the scorching resorts around the Mediterranean. Plus, Gran Canaria can guarantee sunny weather. Golfers can find five top-class 18-hole courses within 20 minutes drive from Rocas Rojas. Rocas Rojas has about 400 bungalows and fantastic views of San Agustín and the Atlantic Ocean. 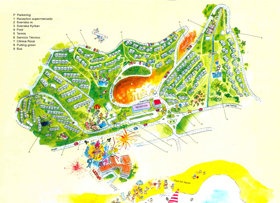 This resort is located in an area of parks, gardens, palm trees, flowers and beautiful walks. 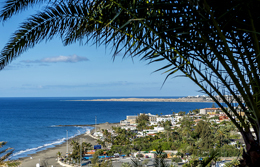 A light 5-minute walk will take you to the sandy beach of San Agustín where you will also find a pedestrian seafront promenade which extends over 8 km from Playa del Inglés to Maspalomas. 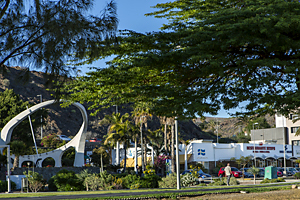 Only a 10-minute walk is needed to reach the closest shopping centre of San Agustín. The fabulous pedestrian seafront promenade of Playa del Inglés, Maspalomas and Meloneras, with its first-class restaurants and boutiques is only 5 minutes away by car or taxi. "It´s the perfect option for people who wish to enjoy a relaxed holiday in a private apartment far from the bothering hustle and bustle of traffic, close to nature and the open ocean. Our bungalows boast of two bedrooms and a large kitchen. They are surrounded by vast green common areas, the traffic is minimal, and the beach is in walking distance. 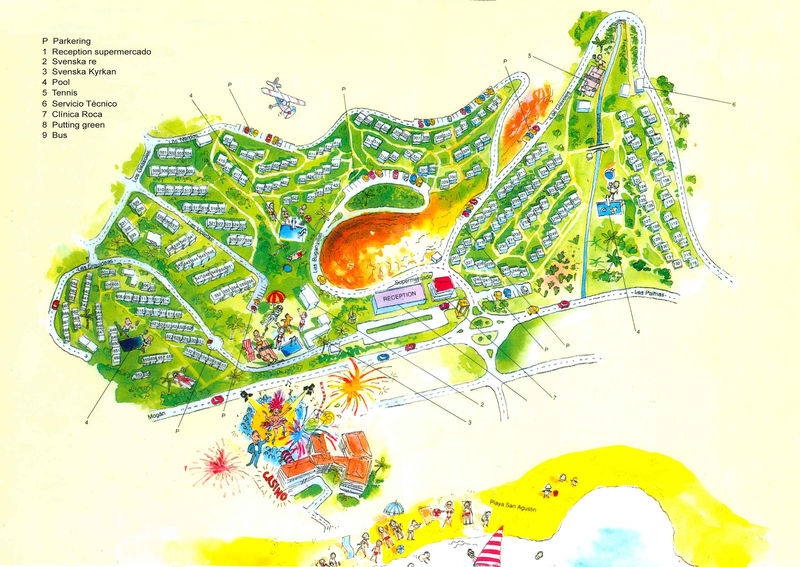 Rocas Rojas is simply perfect for families with children "
Whether you choose a smaller apartment with one bedroom or a larger one with two, you have access to 3 pools, a tennis court, a petanque area, a putting green and all this only 5 minutes from the beach of San Agustín. Those of us who work at reception speak Spanish, German, English and Swedish. We advise you and provide you with information regarding anything you might need for your holidays. At reception, we recommend the best restaurants and places to visit on the island. Here, you can exchange currencies and buy Swedish press. We can also help you book a time to play in one of the first-category golf courses located near our resort. 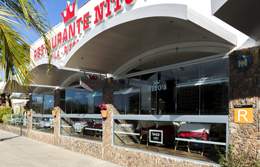 Next to the reception, you will find the Nitos bar and restaurant, the hair-dresser's Nieves, the rent-a-car Lund, a launderette with automatic washing-machines, safes and telephones. In addition, you will be able to access the Internet. If you come with your own laptop, there is free connection at reception.